ZAMBOANGA CITY, Philippines (Mindanao Examiner / Apr. 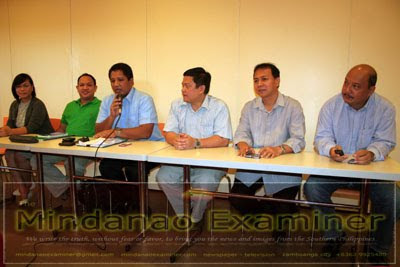 4, 2011) – A group of local city councilors and former officials have organized themselves into a group that would push for the establishment of third legislative district in Zamboanga City in the southern Philippines. Prominent lawyer Rommel Agan said there is a strong public clamor for the creation of another congressional district to which Zamboanga City is entitled because of its huge population. “There is a strong public clamor and we are supporting the call for the creation of a third legislative district so we may have more voices to represent Zamboanga City in Congress,” Agan, son of a former mayor, Vitaliano Agan, said in a news conference on Monday. But Celso Lobregat, the local mayor, said he does not favor the creation of a new congressional district because it would only divide Zamboanga City. Agan was the author of a proposed bill that would seek for the creation of the third legislative district, and councilors who are allies of Lobregat flatly rejected his resolution. Agan, who is one of four opposition councilors in Zamboanga City, said many of their resolutions which would benefit the public had been rejected by pro-administration councilors. “We are very frustrated with what’s happening now at the City Council. We should put forward first the interest of the people and not the political interests of the majority,” he said. ouncilor Cesar Jimenez said majority of the pro-administration councilors are opposing the creation of the new congressional district because Lobregat was against it. “As long as we have the popular support of the people, we will prevail,” he said. 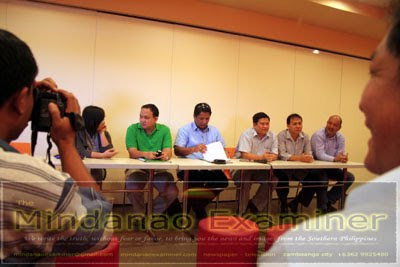 Former Zamboanga City Vice Mayor Manuel Jose Dalipe agreed and he said they would bring the issue of the proposed third congressional district to the public by conducting information campaign that would explain to the locals the importance of having another legislative district. “For one, we will have an additional representation to Congress and the financial help it would bring to Zamboanga City. The people are with us and we will campaign hard for everybody to be informed all about the benefit of another or perhaps two more congressional districts,” Dalipe said. “What we are pushing here is a legacy that we all can leave to our children and for the future of Zamboanga City,” he added. Each legislative district is allocated P70 million a year on top of millions of pesos of in other development funds for various projects. And each congressional district must have at least 250,000 populations and Zamboanga City now has over 800,000 populations. 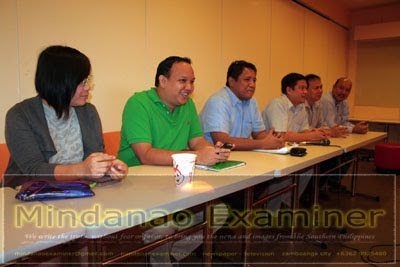 Former city councilor lawyer Juan Elago urged Zamboanga City Representatives Erico Fabian and Maria Isabelle Salazar to file the bill that would establish the new legislative district. “They can file the bill because this is very important to Zamboanga City and it is beneficial to all, to the people and the future of children,” he said. Climaco has previously campaigned for the creation of the new legislative district while Fabian said there should be a public consultation first before he can decide whether to support it or not. Another opposition councilor, Al-Jihann Edding said they would start a massive education drive and a signature campaign in Zamboanga’s 98 villages soon in an effort to gain more popular support for the creation of the new congressional district. Lawyer Melchor Rey Sadain, also an opposition councilor, said they would also bring other issues to the attention of the public during their information drive and among them were many pro-poor resolutions they filed, but had been rejected by pro-Lobregat allies in the City Council. LOBREGAT must be replaced, for zamboanga to have big projects , and would benefit the poor.